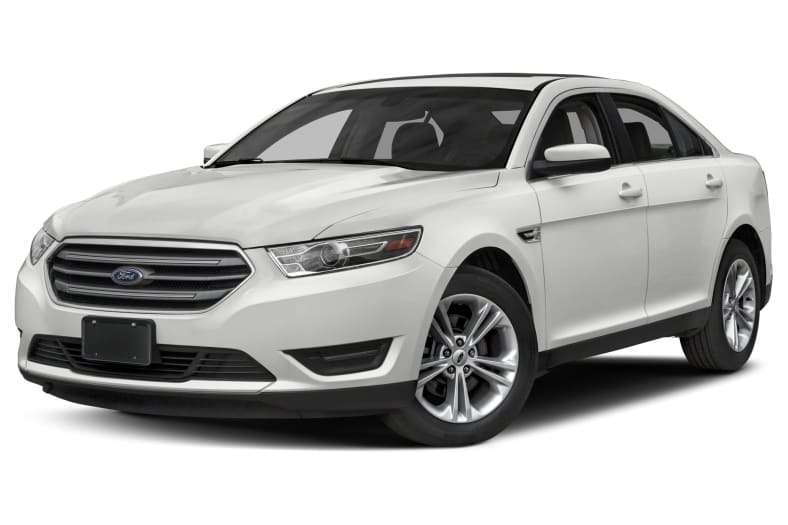 The Taurus is Ford's flagship, offering an owner confidence on the road, with a spacious interior, luxury car comfort and quietness, advanced technologies and a top safety rating. The Taurus is available in both front- and all-wheel drive configurations, with power supplied by a 288-hp 3.5-liter V6 engine; the high performance all-wheel drive SHO trim gets a twin-turbo version of the 3.5-liter V6, generating 365 horsepower. Both engines are paired with a six-speed automatic transmission featuring manual mode and available paddle shifters. Trim-dependent standard equipment includes: 19- and 20-inch aluminum wheels, high-intensity discharge (HID) headlamps, dual-zone automatic climate control, heated/ventilated front seats, heated rear seats, leather upholstery and Intelligent Access with push-button start, along with HD/satellite radio, smartphone integration, an 8-inch touchscreen display and Ford's SYNC communications and entertainment system. Standard safety features include four-wheel anti-lock disc brakes with brake assist, electronic stability and traction control systems, MyKey parental controls and a rearview camera, as well as six airbags; Limited and SHO trims are also outfitted with rear parking sensors, blind spot detection and Cross Traffic Alert. The Ford Taurus carries over with minimal changes for 2019.